Pupils on the autistic spectrum have difficulties in common, but they are individuals and have specific abilities and needs. For them to succeed it is vital that they are understood and barriers to their learning removed. Activity - True or false? plan for transition of pupils from class to class, from school to school and finally on leaving school. Provides an overview of the core difficulties characteristic of the autism spectrum and is directly relevant to the subsequent chapters. be able to build a profile of each individual’s strengths and differences. Considers individual perspectives and experiences of families in order to better understand how autism affects their lives. build partnerships with parents and families to better support pupils. Presents a ‘roadmap’ for considering behaviour and planning positive responses to that behaviour. make sense of the meaning of the behaviour as a key step in planning effective intervention. Recognises the importance of prevention in managing behaviour. know how to replace challenging behaviour through the development of skills and understanding and through promoting alternative behaviours. Exemplifies the need for structure to enhance the learning of pupils on the autism spectrum. 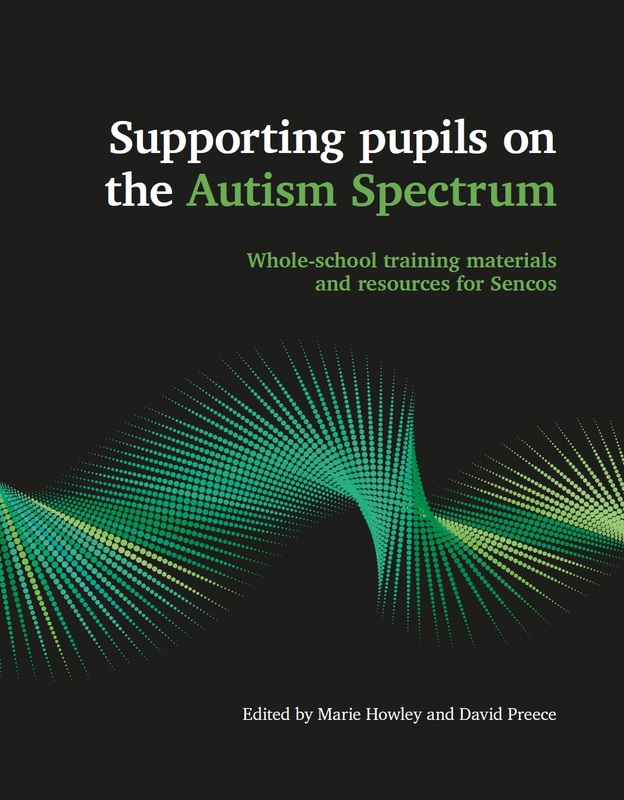 Demonstrates how you can adapt the curriculum to make it more accessible for pupils on the autism spectrum. Considers ways to include peers as buddies, mentors and role models. Explores a variety of positive strategies for supporting potentially difficult times of change. use various tools and strategies to make transition less stressful for pupils. Provides guidance on factors to consider when planning an eclectic mix of strategies, as no single approach will be effective if used in isolation. know what to do when strategies ‘don’t work’.